Renaming a drop-down menu allows you to change its name without deleting its entries from all projects that are using them. 4. 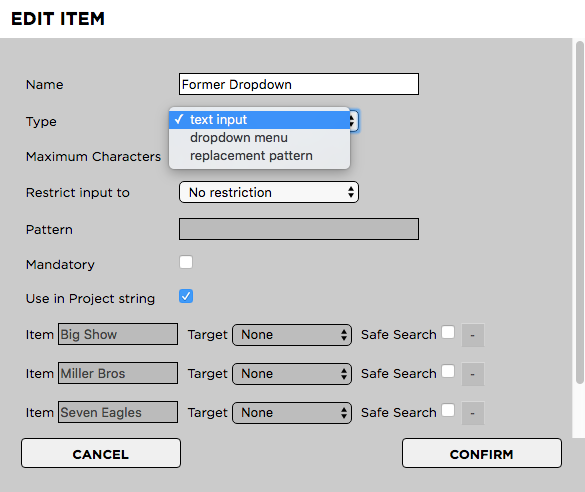 Click on the metadata set that contains the drop-down menu which you want to modify. This will expand the set. You can rename individual entries of a drop-down menu. Renaming an entry will change its name on every project that is using it. The old entry will no longer exist but will be overwritten with the new one. In case you no longer require a specific drop-down menu, you can convert it into a text field. 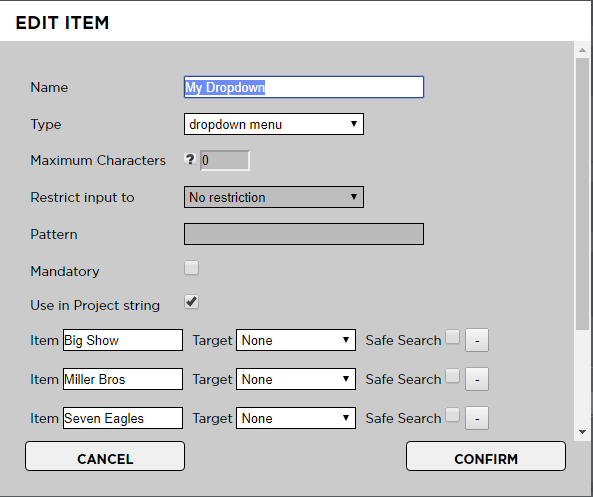 This will preserve the (former) entries of the drop-down on projects which are already using them and will also allow users to enter new free text entries. 6. Change the type to “Text Input”. You can also change the name if required.